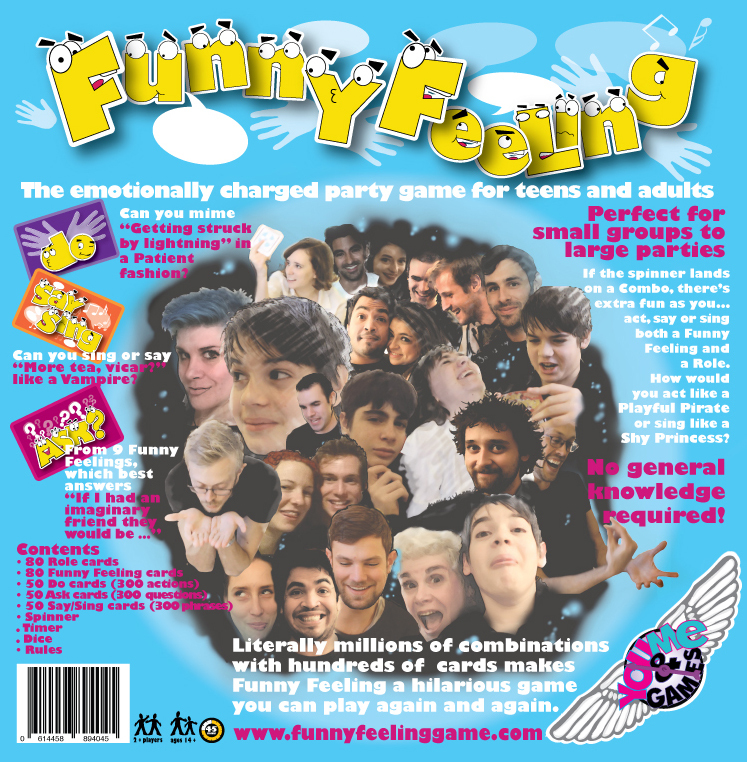 Funny Feeling is a fun and fast paced party game for teens and adults where you have to ask questions, mime actions and sing or say quotes or lyrics in a specific emotional style or in a specific role. 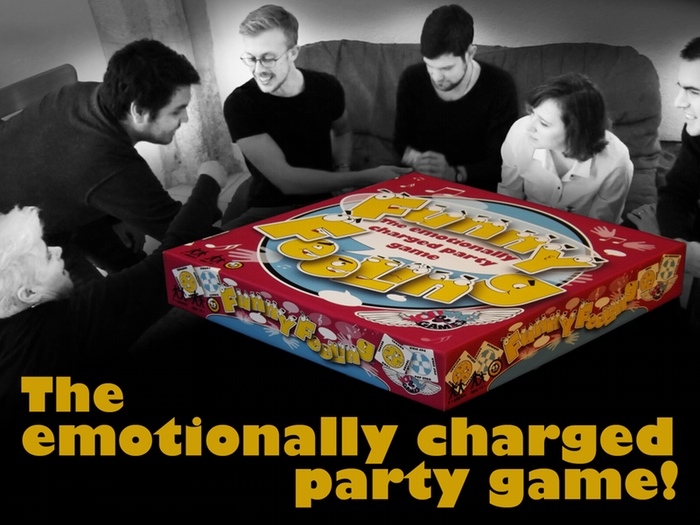 Your team has to guess which feeling you're acting out, or which feeling best fits the answer to a question in order to win points. Can you mime “Getting struck by lightning” in a Patient fashion? Can you say “More tea, vicar?” like a Vampire? Can you sing “I see a red door and I want to paint it black” in a Devious way? 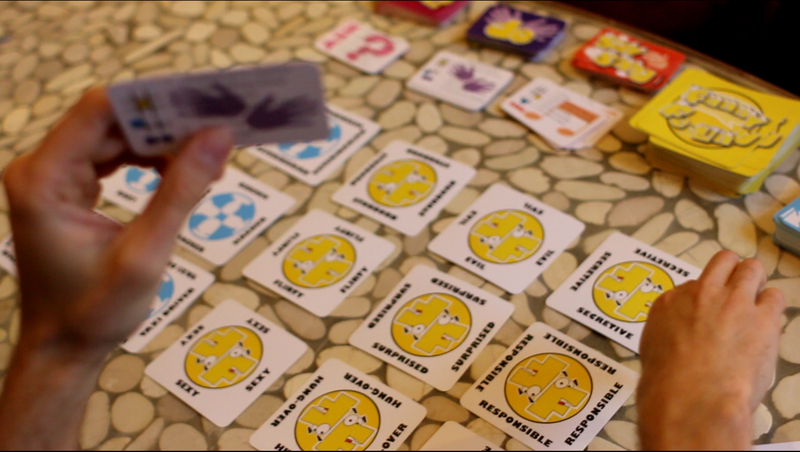 If the spinner lands on a Combo, there’s extra fun as you act, say or sing both a Funny Feeling and a Role. How would you act like a Playful Pirate or sing like a Shy Princess? 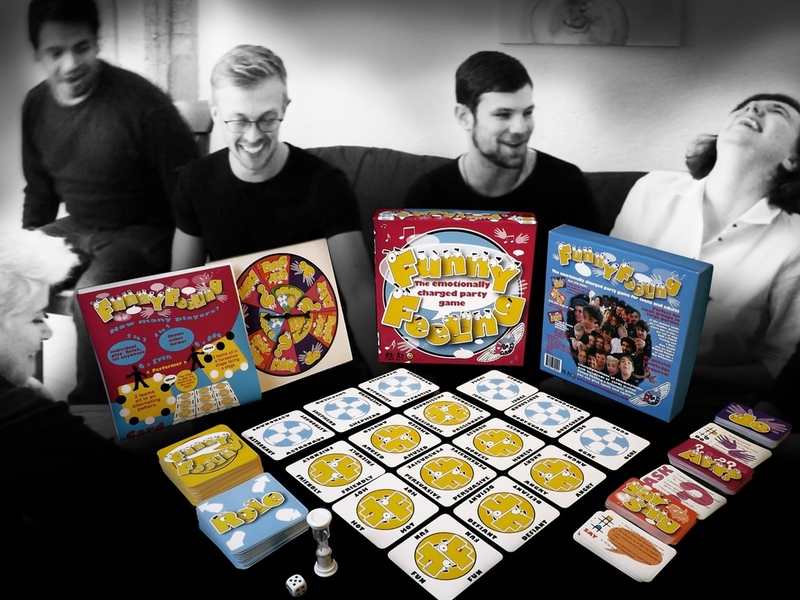 Thoroughly play-tested with individual gameplay for 3-5 players and party game rules for larger groups.